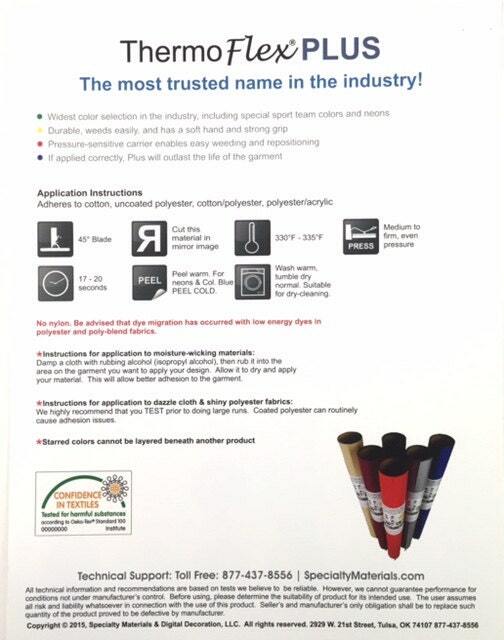 1 - Thermoflex Plus Color Guide. 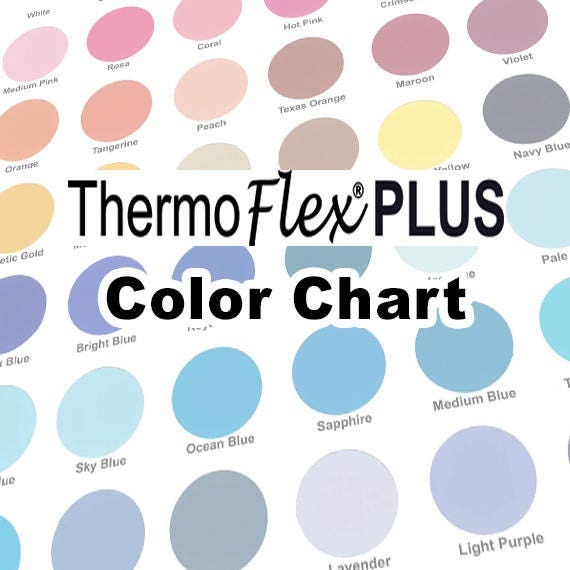 This color guide features real samples of each color of the ThermoFlex Plus line. 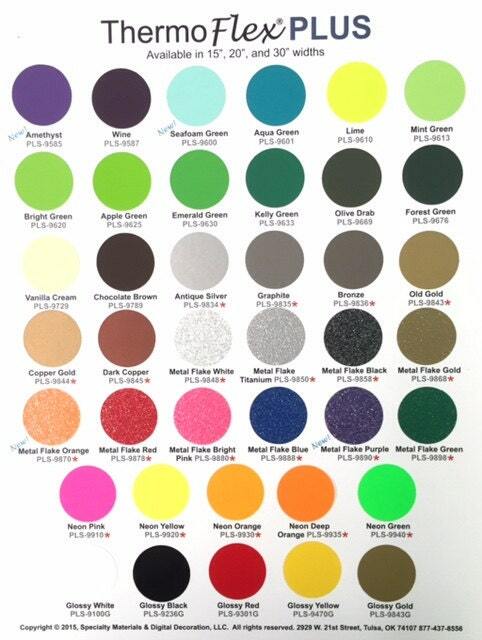 Includes new colors. 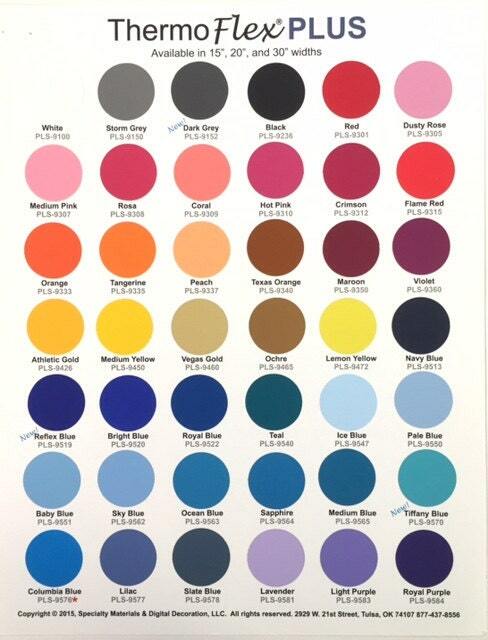 Great way to match up colors before you purchase! We ship items Monday - Friday Eastern Time. No Saturday, Sunday or Holiday shipping. Orders placed before 3pm est. ship same day.